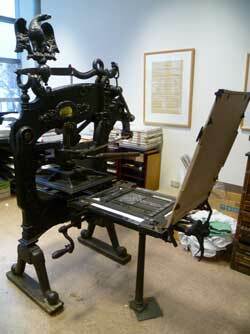 This page provides information on the presses and type available in the Otakou Press Room. 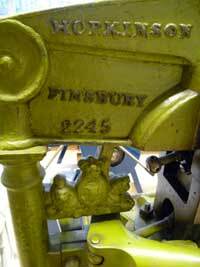 The Press Room also includes various type. A full history of the bibliography room can be found in Keith Maslen's 'THE BIBLIOGRAPHY ROOM PRESS 1961-2005: a Short History and Checklist' (182K in PDF format). Excerpts from this history are used below. (2) See K.I.D. Maslen, Victorian typefaces in Dunedin, New Zealand, Bibliographical Society of Australia and New Zealand Occasionnal Publication No. 2, Melbourne, 1981; also Keith Maslen, ‘Wise’s directories: a short history and a checklist (1865-1922)’, Bibliographical Society of Australia and New Zealand Bulletin, 12 (1988) , 21-41. 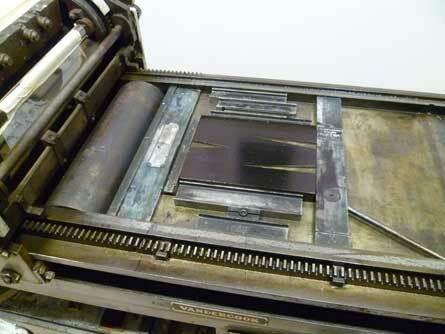 A Phoenix "platen press" and a Vandercook #4 proofing press.